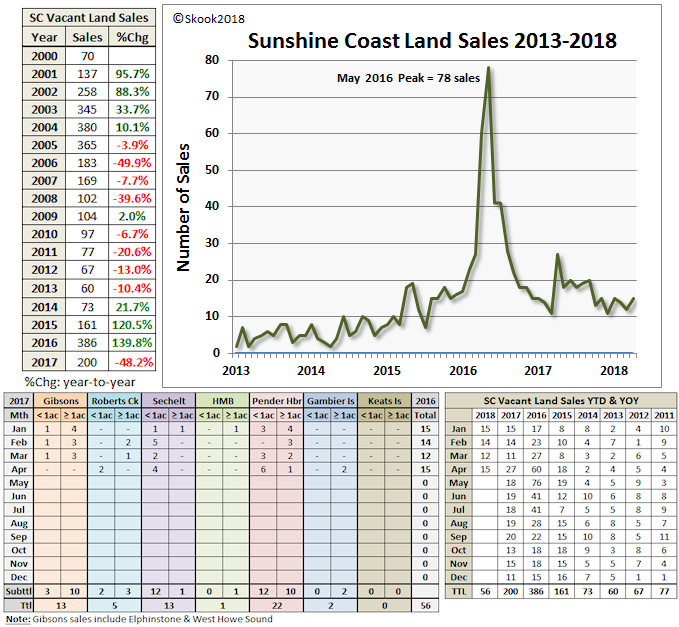 This blog presents current and historical real estate statistics and charts for the Sunshine Coast, Powell River and Bowen Island, British Columbia. I had good intentions to start posting 2018 stats in May, but it didn’t happen. 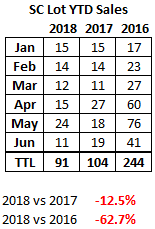 So, in addition to January - April data, I’m tacking on May -June sales. The tables and charts are straightforward and need little explanation. I was curious to see how this year’s sales volume compares to the last two years. 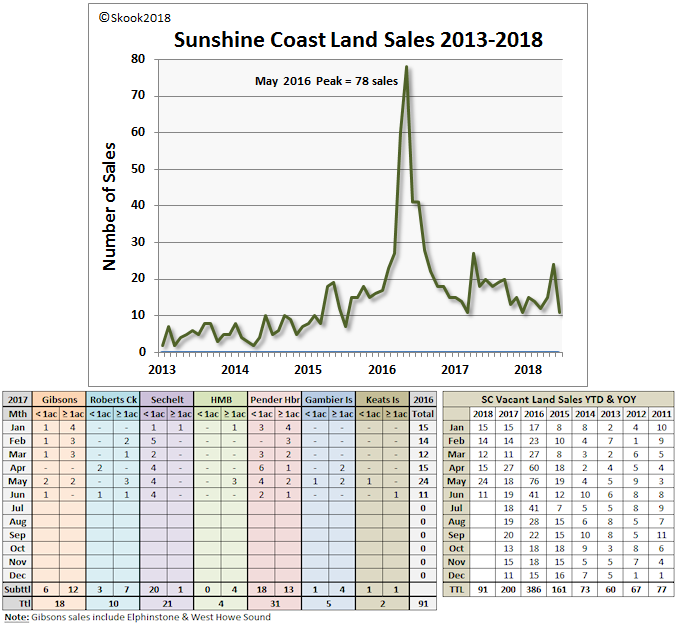 The small year-to-date sales table below answers that query. I’ve been sitting here staring at that sales chart above. It’s absolutely stunning, isn’t it? You see an almost vertical rise and a near vertical fall around 2016. It almost appears as if the purchases were coordinated to occur within a short time frame. I guess that is what a “frenzy” looks like. 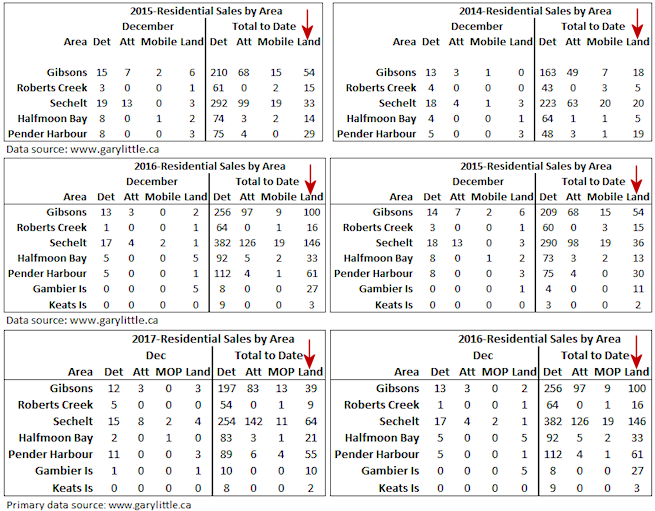 The tables below show how the madness manifested itself in the SC market areas - even Gambier Island had its party. 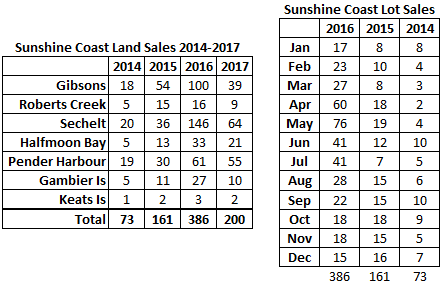 The table on the right shows the sales momentum in 2015 and 2016 compared to the much slower sales in 2014. Too shy to post a comment, have additional data to share or tip to give? Email: screstats2015 at gmail.com. (Change "at" to @, remove spaces). Be patient for reply.